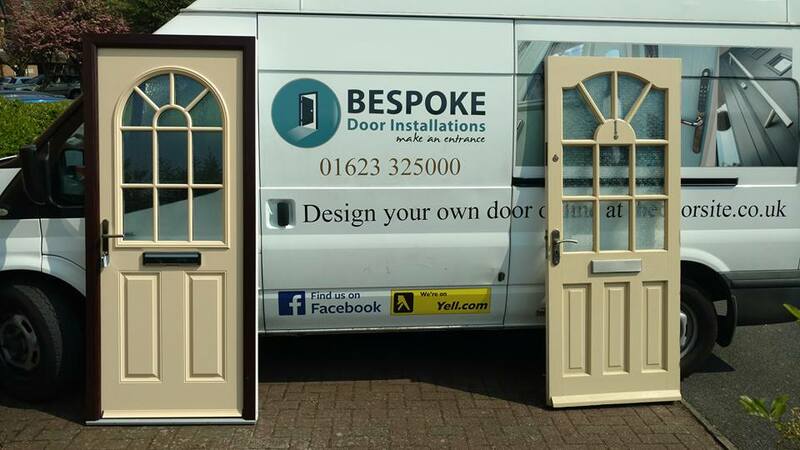 Here at Bespoke Door Installations we always do everything that we can to provide our customers with the perfect new door for them. This is exactly what we did very recently with this brand new Cream composite door fitted in Castle Marina, Nottingham. 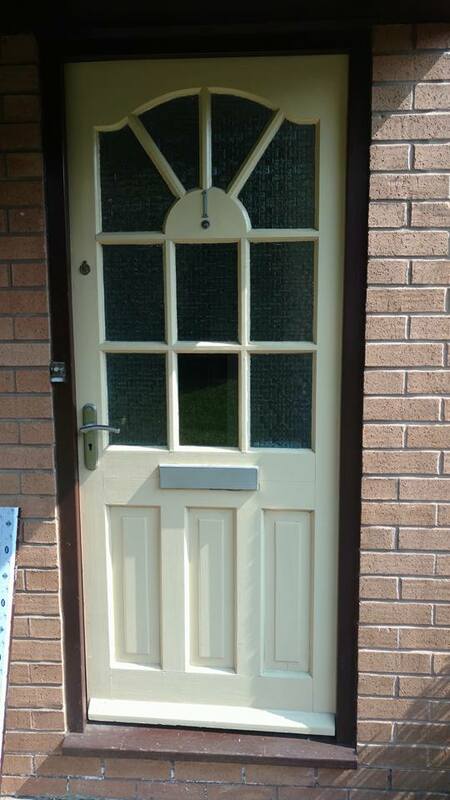 On this occasion the home owner had an old, tired door that needed replacing, however they wanted their new door to match the cream style colour of the original. Using our innovative design a door tool, the customer was able to design a brand new door to their exact specification, and we managed to get an almost perfect colour match too. This new door, along with the colour match, also featured arched frosted glass windows, and a shiny new letterbox, handle and lock. The door fit perfectly within the old frame which in this case did not need replacing. 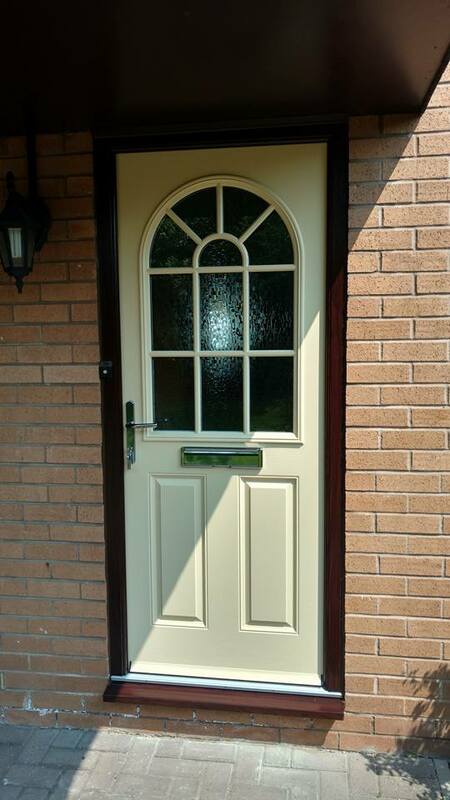 Along with that, the home owner also received all of the benefits that come with composite doors, including increased durability, enhanced security, and even extra energy efficiency, keeping draughts out and heat in much better than a standard UPVC or wooden door. See below for some photos of the fantastic cream composite door fitted in Castle Marina, Nottingham by our team, along with a side by side shot with the previous door that was replaced. 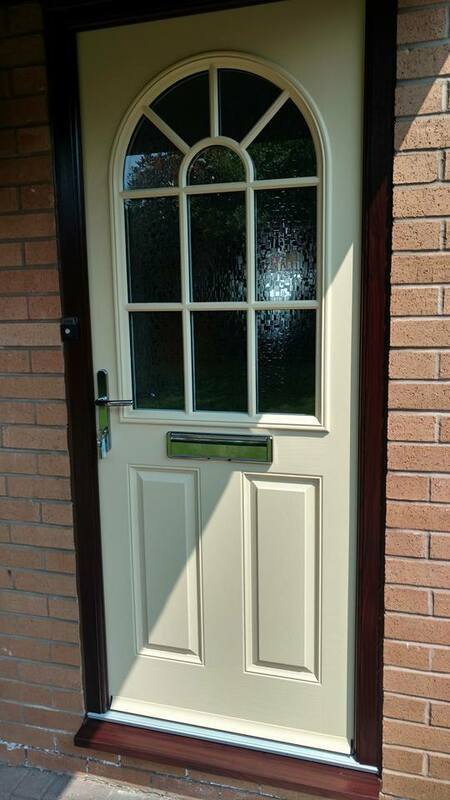 For more information regarding the genuine composite doors fitted in Nottingham by our team, please don’t hesitate to give us a call today on 01623 325000, or why not give our design a door tool a go and create your very own bespoke door.